Mirvac and the Brisbane Racing Club are pleased to introduce Ascot Green. A rare opportunity to live alongside the iconic Eagle Farm Racecourse in Ascot, one of Brisbane’s most prestigious suburbs. The first stage of Ascot Green is Ascot House, recently completed and ready to move into today. 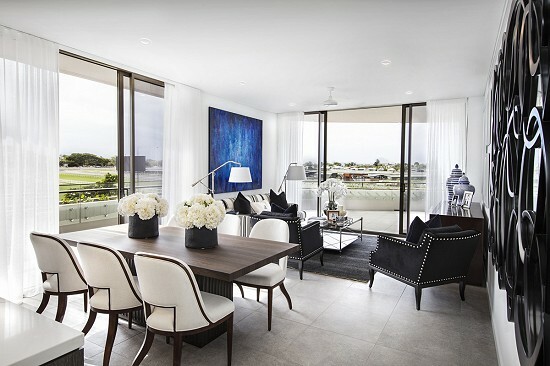 Ascot House offers residents the chance to be apart of racing heritage and revel in the expansive open spaces. The Ascot Green apartments are designed to suit every need and provide smart living spaces where form meets function. A choice of different floor plans offer a mix of one, two and three-bedroom apartments, along with an exclusive selection of pavilion residence. Great care has been taken to create a sense of place that best reflects the history of Eagle Farm Racecourse. A brick base and garden screen visually connects with the masonry and palette of existing heritage buildings, presenting a seamless yet identifiable background to track events. Ascot Green will soon be a signature vista in every televised race coverage. 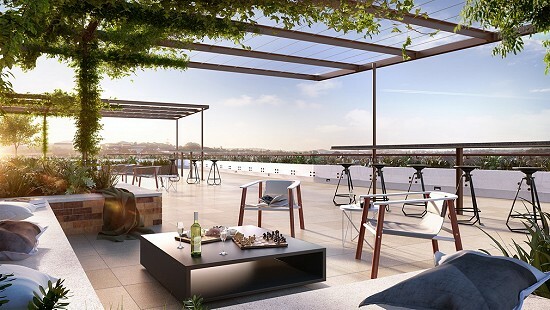 Ascot House features an expansive rooftop terraces where residents and their guests will enjoy views of the historic Eagle Farm Racecourse and city beyond. 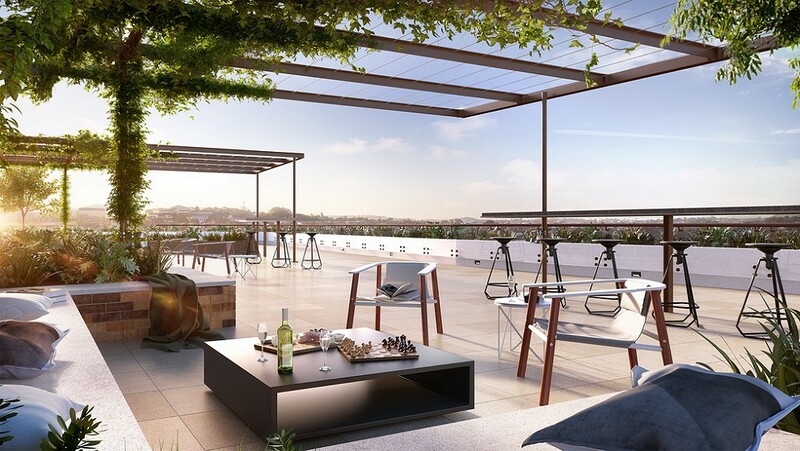 Each rooftop recreational area includes an expansive recreational deck with casual seating areas and BBQ facilities, with bookings available through the property manager. A lap pool with casual seating and lush landscaping located on Level 1 is shared amenity between both Ascot House & Tulloch House residents. A fully equipped gym will also be included within Level 1 of Tulloch House which Ascot House will be able to use upon completion of Tulloch House.